Waterfox is a browser project built on Mozilla’s free browsing platform, specifically designed to fit 64-bit operating system. It ensures to provide high speed when web browsing, being oriented towards the user itself. Even though it is an unofficial version of Firefox, its 64-bit option shows that online browsing can be both fast and interactive to any operating system. We tested the browser compared to the basic Firefox on a Windows 64-bit operating system. HTML5 apps and videos operate decently, considering the fact that it lacks of H.264 support. 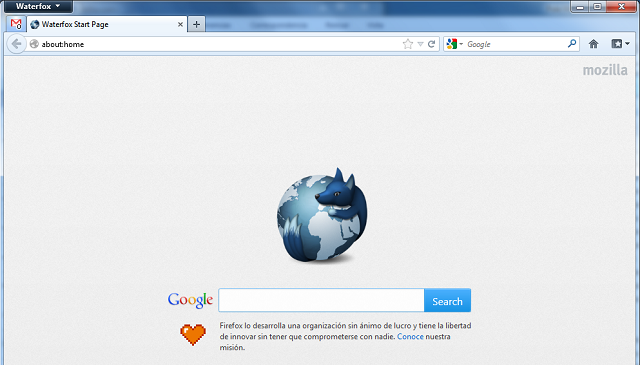 Its design is pretty simple and basic, mostly using the Firefox interface and tools. Its tab-based interface also provides access to multiple tabs usage, while preserving data resources. One feature that Waterfox uses is the option to customize the browser interface with tabs and bookmarks, so that favorite content can be immediately available. Users can also group tabs that are similar, creating a very good organized working space. In addition, the 64-bit browser comes with a spell checking feature and a pop-up blocker. Your operating system is a lot more protected against malware and viruses, ensuring full privacy and safety measures. Private browsing is also available using the anonymous navigation feature, which uses proxy connections to ensure that history and search results are cleaned anytime the browser is offline. In addition, with the password manager and cache management feature users can rest assured that their personal information is safe and secure. 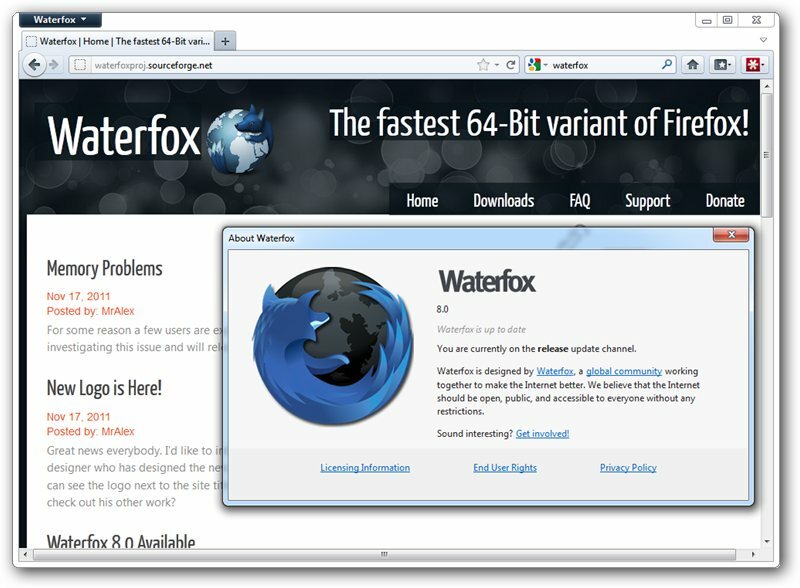 The main purpose of the Waterfox browser is to ensure high speeds for computers using a 64-bit Windows. It features a built-in 64-bit support, no adobe DRM, it can run any 64-bitplugin and add-on, while it doesn’t collect any sort of personal data or location. What is more, its support team constantly works on fixing any issues after each update. However, search results and history will be deleted when updating the browser, but this will be fixed soon. Alex Kontos managed to build an easy web browser in 2011, oriented towards users and browsing speed, quickly gaining positive recognition. In addition to its online features, Waterfox also partners with the Ecosia search engine, which promotes a green and healthy environment. Users may run any type of plugin since it doesn’t come with a whitelist. Programmers and power users of the internet will definitely enjoy using Waterfox. What do you think about Waterfox? Waterfox 56.2.8 Apr 8, 2019 A brand new logo to start things off! Waterfox 56.2.7.1 Feb 4, 2019 Waterfox 56.2.7 is all patched up with security and DRM fixes. Waterfox 56.2.7 Jan 31, 2019 Waterfox 56.2.7 is all patched up with security and DRM fixes.